I guess the folks over at Creative Assembly wanted to really make sure people jumped on the Warhammer II band-wagon hype-train. Earlier today they’ve dropped the bomb that a new playable race will be handed out as a bonus to Total War: Warhammer players, for all of those who pre-ordered Warhammer II, before or during launch week. 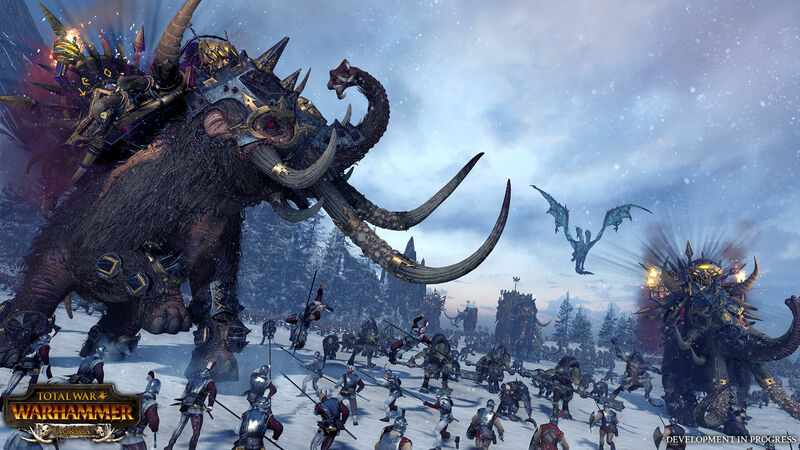 The Norsca Race Pack will be available August 10th to all early adopters, and will feature the playable Norscan barbarian race and two new playable factions; the War Mammoths and Skin Wolves. Once Total War: Warhammer II launches this September 28th, both games will receive a huge update as well, on the house of course, which is pretty cool if you ask me. More details can be found below. The Norsca Race Pack will be playable in the first part of the trilogy from August 10th, ahead of Total War: WARHAMMER II’s release on September 28th. 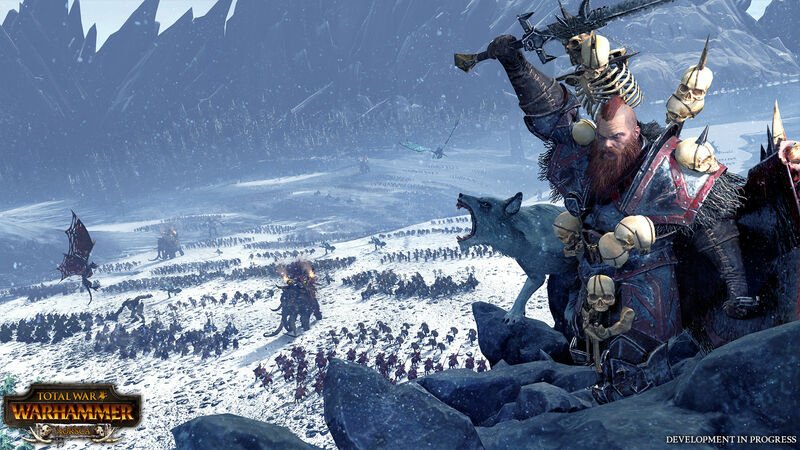 In the frozen Norsca peninsula far to the north, barbaric tribes serve the dark gods through hunting and pillaging. Hardened by relentless blizzards and the monstrous beasts of this bitter wilderness, the Norscans exist only to lay waste. This DLC introduces two new playable factions, led by unique Legendary Lords. 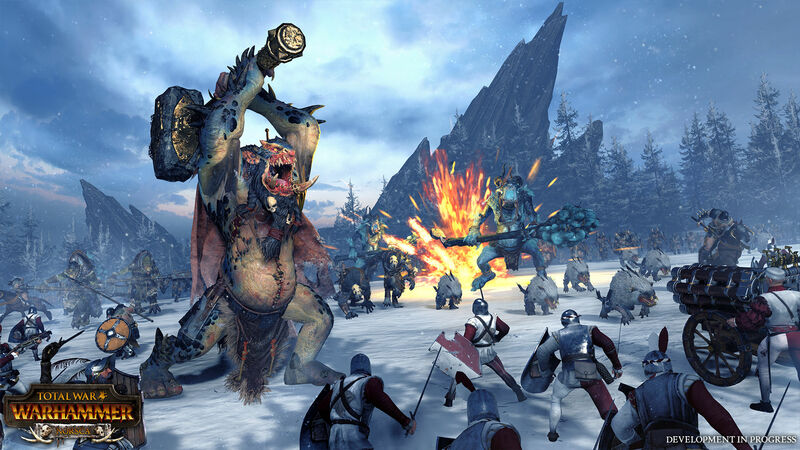 Players can embark on monster hunt quests, command ferocious units including War Mammoths and Skin Wolves, and construct towering monoliths to court favour with the dark gods. 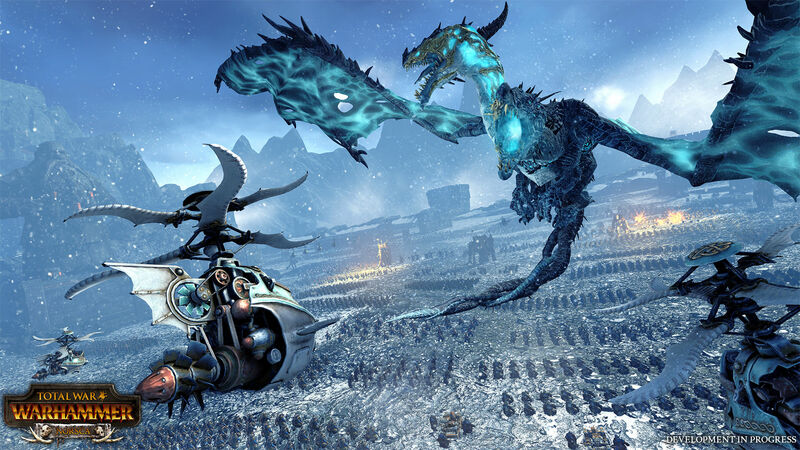 Alongside the digital edition, an extremely rare Serpent God collector’s edition for Total War: WARHAMMER II is also available for pre-order. *Norsca Race Pack is available from SEGA approved retailers only; please check in-store for physical retailers or here for an exhaustive list of digital retailers and more details as to what constitutes a SEGA approved retailer.